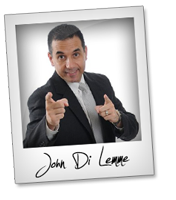 Welcome to the JVNP 2.0 Weekend Update featuring a primary JV request courtesy of fellow JVNP 2.0 Partner John Di Lemme (Apex For Life 2015 high ticket launch affiliate program JV invite), Buzz Builders and More … in Today’s lifetime affiliate commissions edition. Hi Fellow JVNP 2.0 Partner … John Di Lemme here. I’ve got a perfect New Year’s offer that is backed by over 5,800 testimonials of real people with real results that have generated millions of dollars in business and radically changed their lives. It’s exactly what your list is looking for and will create huge income for you. Unlike other launches you’ve seen in the personal development, marketing, self-improvement, motivation, life-changing, etc. niches, this is the real deal. I’m looking to create long-term relationships with affiliates and change the face of the industry with proven, time-tested products that will create an avalanche of sales for affiliates. What’s in it for You as an Affiliate? 50% across the board, up to $998.50 upfront commissions. 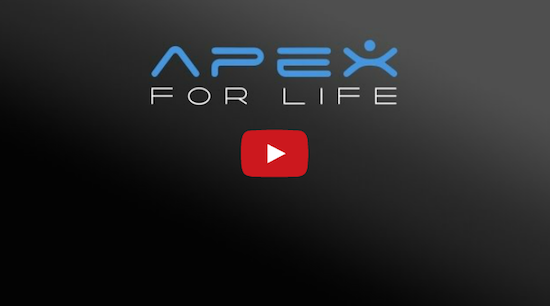 PLUS all affiliates who enroll for the Apex for Life affiliate program are grandfathered for LIFE. Any and all leads and sales you refer during this launch, you’ll earn commissions for life on any products, events, or even coaching services – for LIFE. My products and services are constantly in high demand and lifetime commissions create unlimited earning potential for all affiliates. I’ll provide you with 10 different niche landing pages plus the main launch page to drive traffic. The more leads you generate, the more people you’ll have go through the Prelaunch sequence. Additionally, throughout the Prelaunch, we will release highly valuable, educational videos along with free products to further build value, trust, and excitement for the launch. The sales letter is off the hook with over 30 video testimonials from all types of real people such as doctors, lawyers, small business owners, network marketers, realtors, CEOs of multi-million dollar businesses, blue collar workers, and that’s just the tip of the iceberg. Plus as an affiliate you have an OPEN INVITE to attend any of my LIVE events prior to the launch to truly experience the level of success generated by the products contained within the Apex for Life course. This alone will blow your mind! To witness real people having real results with no fluff or rah-rah junk is something that no one else will offer you as an affiliate. There’s over $30,000 in cash, trips, tickets, and so much more that I will be giving away to the top ten affiliates. Nothing like being heavily rewarded for changing lives by marketing a program that has a proven, time-tested track record with over 5,000 people. I look forward to building a long-term relationship with you and generating massive income together! Fifty Grand is up for grabs for our Top Affiliate Bonus Prize, plus tons of other bonus cash and prizes for Affiliates of All Levels. Proven offer with $38.38 EPC. Our Affiliates have earned Millions in commissions over the last 9 years. Visit the JV invite page (link below) for complete product details.